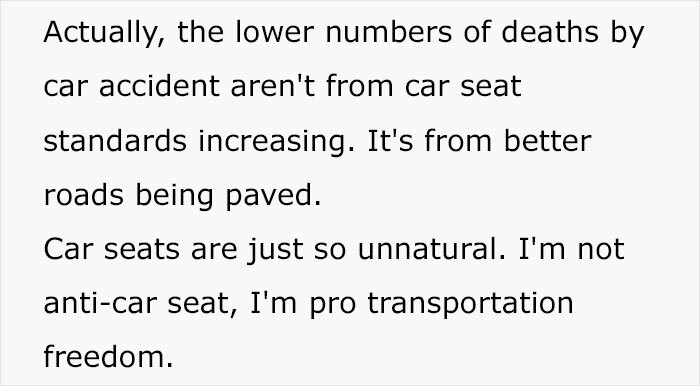 So step back anti-vaxxers because a new and even more dangerous fad is coming — anti-car seat. Yes, you heard that right. After all, it’s not that different from people who don’t believe in vaccinations right. Both of these things were made to protect us, but they cause more harm than good. Do you know how many accidents have increased since people started using car seats? Of course, it’s not unrelated at all! 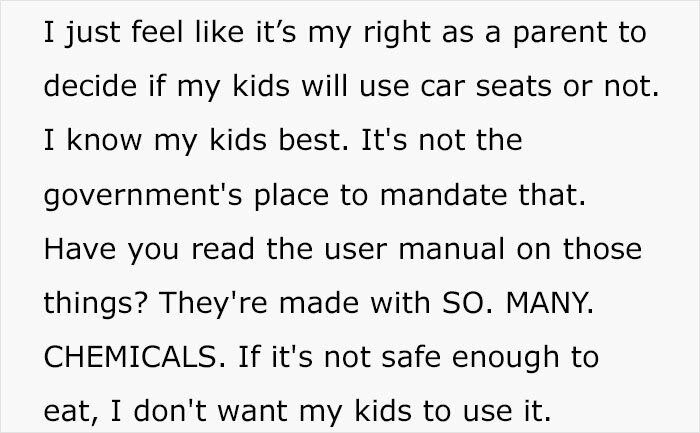 Anyway jokes aside, one person does use the car-seat analogy to make a point about vaccinations. Not that anti-vaxxers are going to listen to anyone anyway. 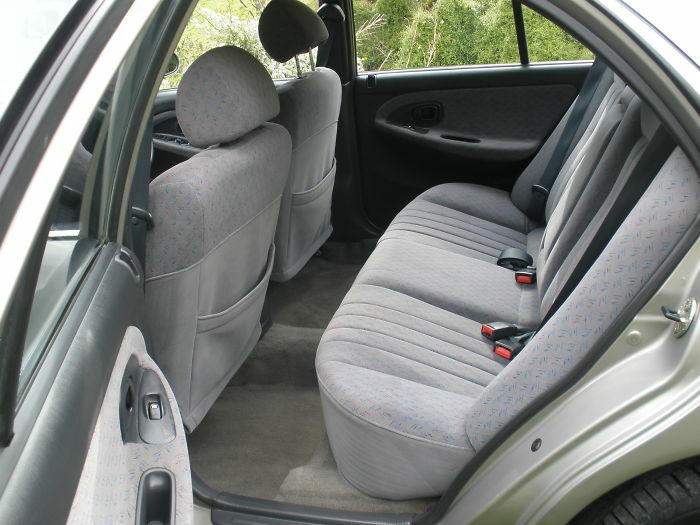 So scroll on below and take a look at why car seats are bad for your health. Car seats are the new menace! Maybe I should use this next time. That is very true. Just look at the stats! Of course! And what are skulls for anyway? It sounds legit. From now on I am also Pro Transportation Freedom. What do you mean? They are 100% serious. Of course, it is worse. The government hides many things from us. 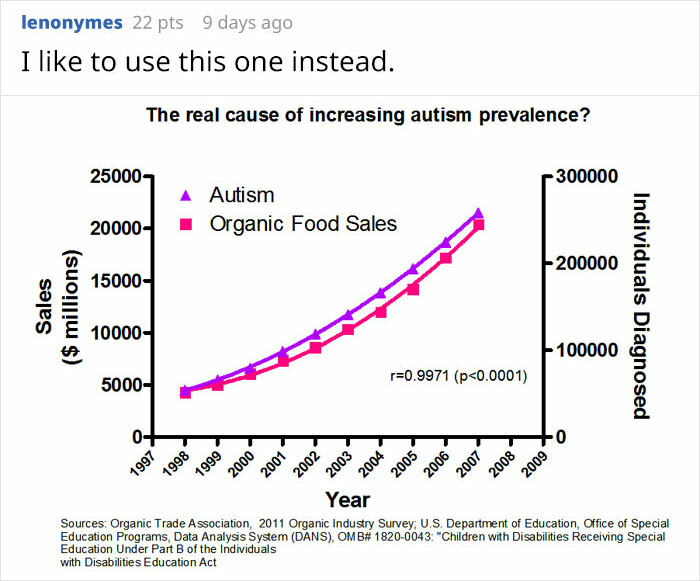 Don’t think it’s going to make anti-vaxxers change their mind. No more car seats for anyone. Nobody needs any safety precautions. Just let nature take its course. Even then, we are not sure. She shouldn’t have to wear a helmet either. First time I thought about vaccinations this way. Natural selection at its best? The whole world will be anti-car seat by tomorrow. 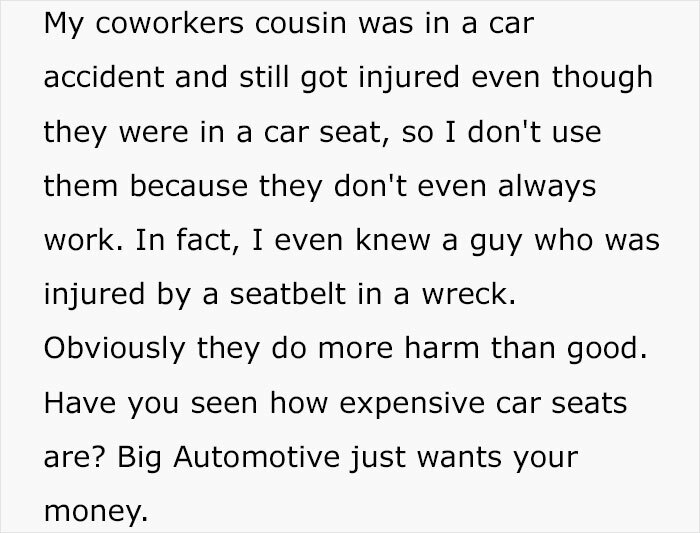 Has this post convinced you to be the anti-car seat? If so comment down below and share with your fellow anti-car seats.